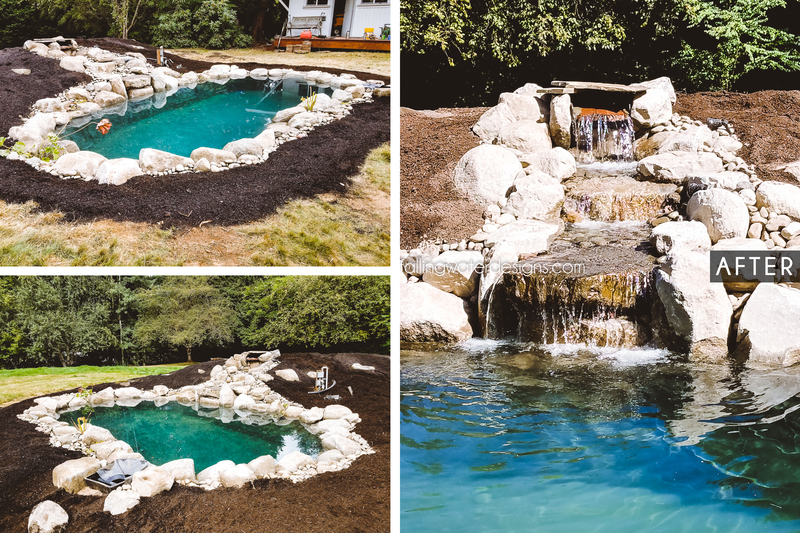 The current project Falling Water Designs has been occupied with is a Snohomish Koi pond rebuild. 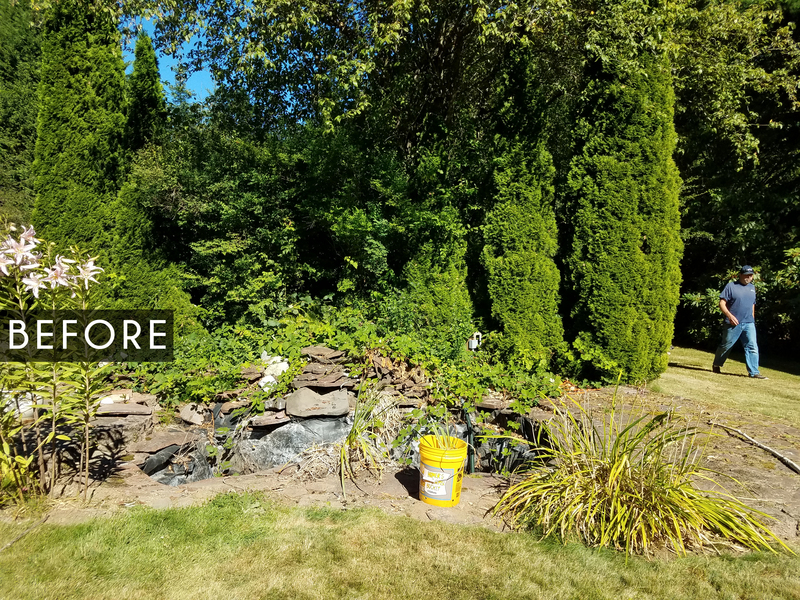 We demolished the existing pond, dug it bigger and deeper with straight sides, installed all new equipment including a skimmer, filter-falls, new inline pump and underwater and terrestrial LED lighting. The new pond is about 12’x20’x4’ deep. 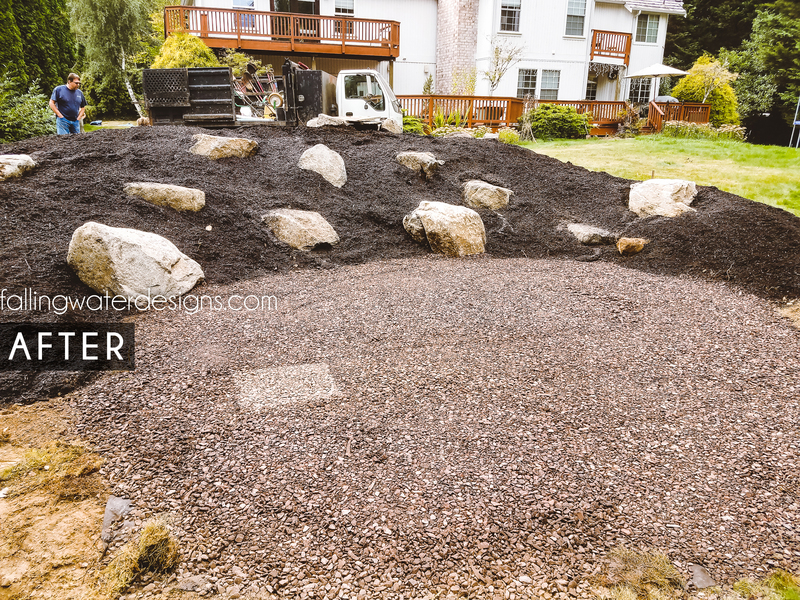 We also built a new waterfall, installed large outcropping boulders on the hill and created a decorative crushed rock patio area for a future fire pit. 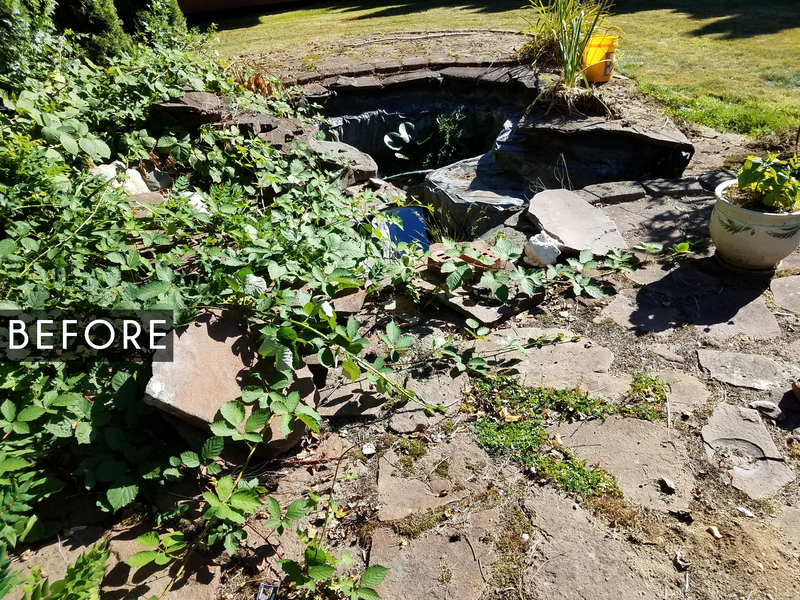 Let our experts assist you with designing, planning and installing a pond or fountain to give you that tranquil boost that you’ve been dreaming of. Inquire here!